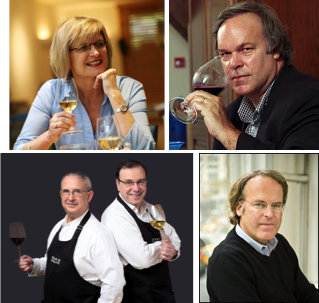 March is set to be a busy month on the Hong Kong wine scene, with wine lovers torn between two equally famous yet very different wine gurus: Jancis Robinson and Robert Parker. Each of them, coincidentally, has two evenings of dinners in Hong Kong—on the same dates. When Robinson is answering questions from WSET diploma students and graduates on the 5th, Parker will be showcasing iconic French wines and their New Word counterparts to 300 guests. The next evening, Robinson will be lending her support to the charity ‘Room to Read’, with wines sponsored by Watson’s, while Parker will be sharing his ‘legend’ wines with some 200 guests, each paying US$1,000+ for the privilege. Hong Kong is just one of the stops on their Asian tours and luckily it seems their schedules only clash in Hong Kong. In the last few years there has been no shortage of wine ‘big shots’ staging high profile events in Greater China. Michel Bettane and Thierry Desseauve, two respected French critics, have held tastings under the banners ‘Le Grand Day of Indulgence’ and ‘Wine Experience’ in Hong Kong and Shanghai, and I believe the ticket price of HK$18,000/person in Hong Kong for an intimate whole-day gathering of 50 guests is still the record price. James Suckling, an American wine critic who now spends half his time in Hong Kong, has his ‘Great Wine Tasting of Bordeaux’ and ‘Great Wine Tasting of Italy’ events priced at around HK$2,000/person for VIP tickets. Those who sign up for or aware of these events will almost all be wine collectors or serious wine lovers who appreciate and drink wine nearly every day. They won’t drink more because of these VIP events as their livers are pretty much working at capacity already. For those who hardly drink or are not interested in wine, they won’t know how influential these big shots are and won’t drink more because of them. So these events have little or no impact on them. That leaves the last group, which is actually the majority of wine consumers in Hong Kong—occasional drinkers who have some interest in wine but don’t know much about it. What is the impact of these events on them (bearing in mind that they won’t attend the events but may hear about them)? Will our VIP presenters inspire them to drink and enjoy more wine, or will they be led down the path of believing that only expensive wines are worth drinking? Sadly, I fear it will be the latter because of the herd mentality. And that is a pity because it means the middle market, which ought to be the core of any mature wine market, is left hollow and undeveloped. I’m not saying high profile tasting events are bad (we all enjoy them, don’t we?). But I do think that for a still developing market like Hong Kong, perhaps it would be more beneficial—more help in building a solid, sustainable market—if the big shots could, in addition to the lavish tastings, host some simpler, more affordable tastings for new and curious wine consumers, aimed at providing that spark that inspires them to love wine for what it is rather than chasing labels. We can then, over time, nurture them into core wine consumers as opposed to occasional drinkers. In turn, they will inspire other average consumers to give wine a try. And of course some of them will one day grow to become the enthusiasts who sign up as guests of these high-profile exclusive events! As much as he is proud of the wine, José Luis Muguiro, one of the owners of Marqués de Riscal, is also proud of the history and development of the estate, founded in 1858 and one of the oldest wineries in Rioja. First the wine: the grapes come only from the Rioja Alavesa region, the best sub-zone in Rioja with vineyards at up to 800m altitude. Apart from the traditional grape varieties of Tempranillo, Graciano and Mazuelo, Marqués de Riscal has also planted Cabernet Sauvignon since 1858 and is one of the very few wineries that are allowed to have Cabernet Sauvignon in the blend. And it was precisely because the quality of its Cabernet Sauvignon so impressed Paul Pontallier, the then technical director and now managing director of Chateau Margaux, that in 1998 he agreed to become a consultant to Marqués de Riscal in charge of blending its top range. The Barón de Chirel 2006 we tasted, with 10% Cabernet Sauvignon in the blend and aged in French barriques, clearly has the footprint of a Bordeaux. It is, according to José, a wine that combines tradition and modernity. 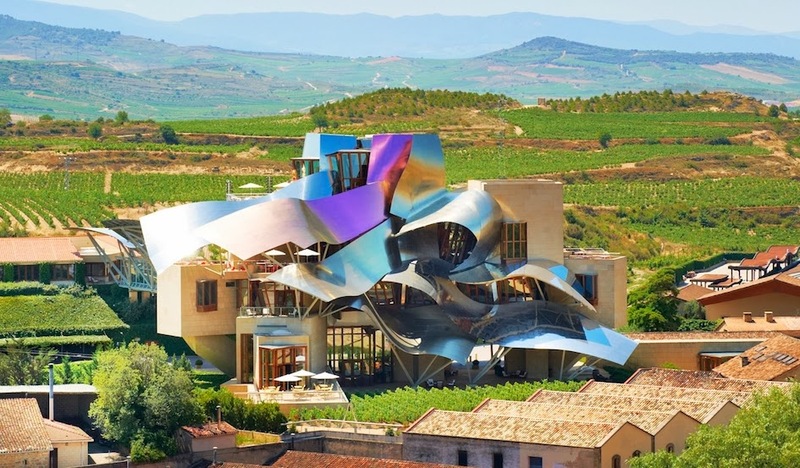 In addition to the Frenchman, the estate has also secured the help of Frank P. Gehry, a renowned Canadian architect who designed the Guggenheim Museum in Bilbao, to design the ‘City of Wine’, a colossal project that combines tradition and innovation in the heartland of Rioja. The wavy titanium roof of pink, gold and silver houses a hotel and the oldest cellars of Marqués de Riscal. On this occasion, it was not Cabernet Sauvignon but a bottle of Marqués de Riscal 1929, the birth year of Frank (probably with some Cabernet in the blend), that charmed him to agree to take on the project. And the next big plan? José has decided to call on all international help. Marqués de Riscal plans to invite 10 people, one from each of 10 different countries—the US, the UK, Japan, China, Hong Kong, to name a few—for a 3-day vertical tasting of Marqués de Riscal dating back to 1858 (the founding year). The tasting notes and comments of these experts will be made into a book commemorating the estate. The guests are not finalised yet apart from Japan’s. No doubt a few of our friends in Hong Kong and China will be jockeying for an invitation. I wonder who will be the lucky ones. Marqués de Riscal is certainly far-sighted. It was the first to produce white wine in Rueda, and in 2011 held an auction of 100 vintages in Beijing. Like many big and long-established companies, it had its downs in the 1980s but has since transformed in the 21st century. Let’s hope it will continue to reinvent itself over the next 150 years. 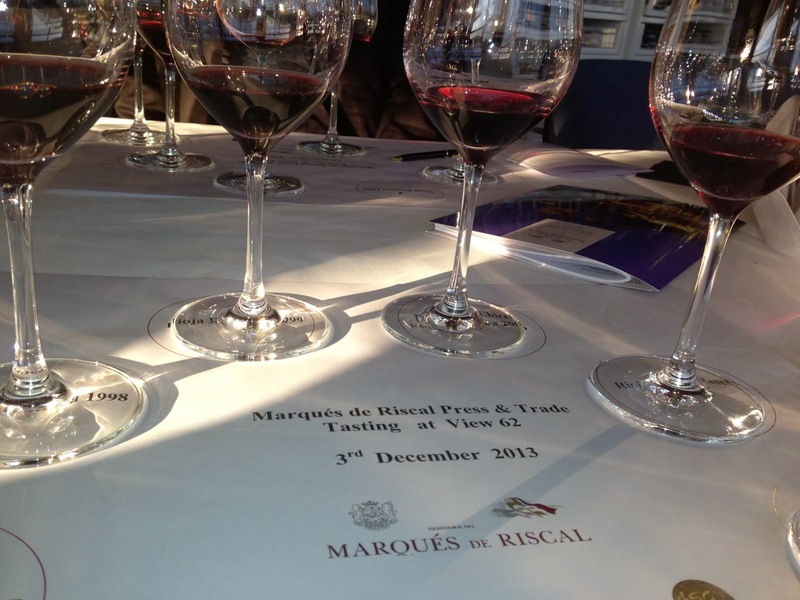 We also had a vertical tasting of Marqués de Riscal Rioja Reserva 1997, 1998 and 1999. The 1998, coincidentally without any Cabernet Sauvignon in the blend, was voted by most as their favourite of the day. Marqués de Riscal is available from ASC Fine Wines.